GTCC offers a service that will notify you by text or email when we have a situation such as an emergency or inclement weather. STUDENTS ARE STRONGLY ENCOURAGE TO REGISTER to stay current with important information. 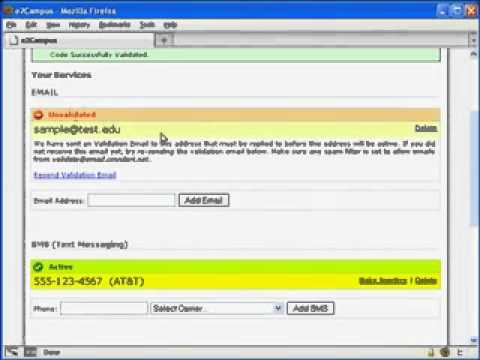 Don’t want to receive E2Campus alerts? Here is how to Opt Out. Simply reply “OPTOUT” to the text and you will be unsubscribed. Sign-in on E2campus and under the Account tab, agree to terminate your account.